This picture says it all. 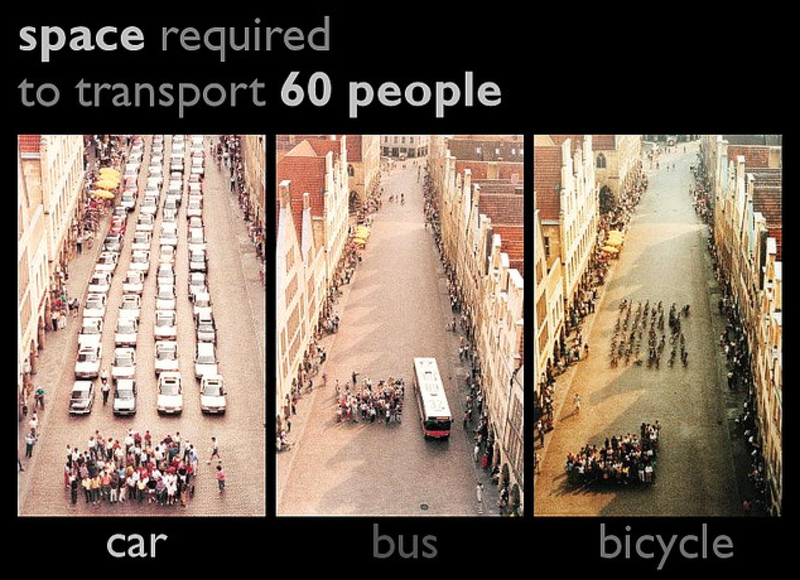 Not only does taking a bus decrease road congestion, but think of all the emissions one bus can save. 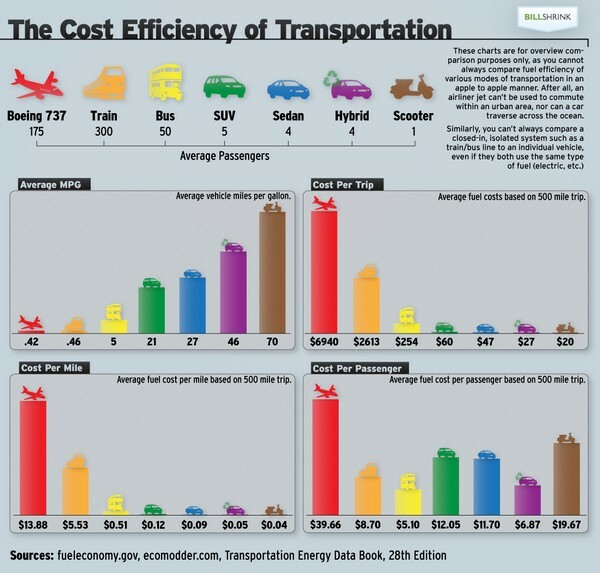 Take a look at this chart, which compares several modes of transportation.